The Zonal Director of Federal Ministry of Labour and Productivity, Omoabie Udeme Akpan has urged labour unions in the country to lobby the national assembly to amend labour laws in the country. 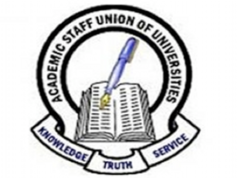 Udeme Akpan, a guest lecturer at the 2016 Leadership Retreat Organized by the Trade Union Congress, TUC, in Rivers State in Port Harcourt, in her lecture titled: Challenges of Casualisation, Contract Staffing, Outsourcing and Redundancy, lamented that the country loses GDP and the workers are denied their rights over these. She called on TUC and NLC to lobby for the repeal of those anti labour laws. Udeme Akpan also declared that the laws of Nigeria has made null and void anti labour regulations of some employers in the country. On his part, another guest lecturer, Steve Ojeh, who spoke on Leadership Development for Sustainability in Trade Unionism urged union leaders to embrace peaceful means of dispute resolution. Previous articleIs Jose Mourinho losing the Man Utd dressing room?